When you invest in training, you want your organisation to benefit. Our talent development programmes are designed to do just that and more. We use experiential learning to bring the best out of your people, developing their skills, increasing their knowledge and, importantly, improving their work performance. This isn’t a cosy few days in a luxury hotel. This is a full-on activity programme that will stretch your people. They’ll learn different ways of working, alternative approaches to problem-solving and how working as a team can bring success. Personal challenges will encourage them to take ownership, welcome responsibility and discover their strengths. Our professionals are there to support and encourage your people during their visit and beyond. 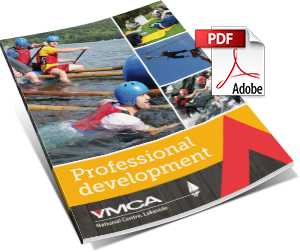 Email lakesideenq@fyldecoastymca.org for a copy of our full risk assessment. Help your apprentices make the leap from school leaver to valuable employee. Find out how to get more out of your team. Give your graduates the skills they need to make a real difference in the workplace. Give your people the skills they need to be great leaders. Download our brochure above for more information.